Swiss Valley Farms was rejected, then rudely insulted, when it first explored exports eight years ago. Today, the small company with a global vision is the 2016 Exporter of the Year. Chris Hoeger boarded a flight to Mexico City to explore the potential of exports for Swiss Valley Farms. Could a small Midwest dairy company far from shipping ports succeed against much bigger players on foreign soil? Was there a viable global market for the products and ingredients Swiss Valley offered? Could the company adapt to the unique requirements and specifications of customers in other countries? Hoeger, then in sales, armed himself with Swiss Valley samples. Now CEO, he says he will never forget one of his first conversations in Mexico City. The meeting took place in a former jailhouse converted into an office. A stocky 6-foot-3, Hoeger is hardly tiny, but the distributor he met that day cut an imposing figure, enhanced by a gruff, opinionated demeanor. Hoeger offered samples of Swiss Valley gouda cheese and cream cheese and waited for a reaction. Instead of being complimentary, the distributor made a rude comment, refusing to take the company or its products seriously. Hoeger and his team could have packed their bags and returned to Iowa after that startling and misguided assessment, but they pressed on to find people in Mexico who liked and bought their products, including one customer still with Swiss Valley today. That can-do spirit helps explain why Swiss Valley Farms is the 2016 Tom Camerlo Exporter of the Year. 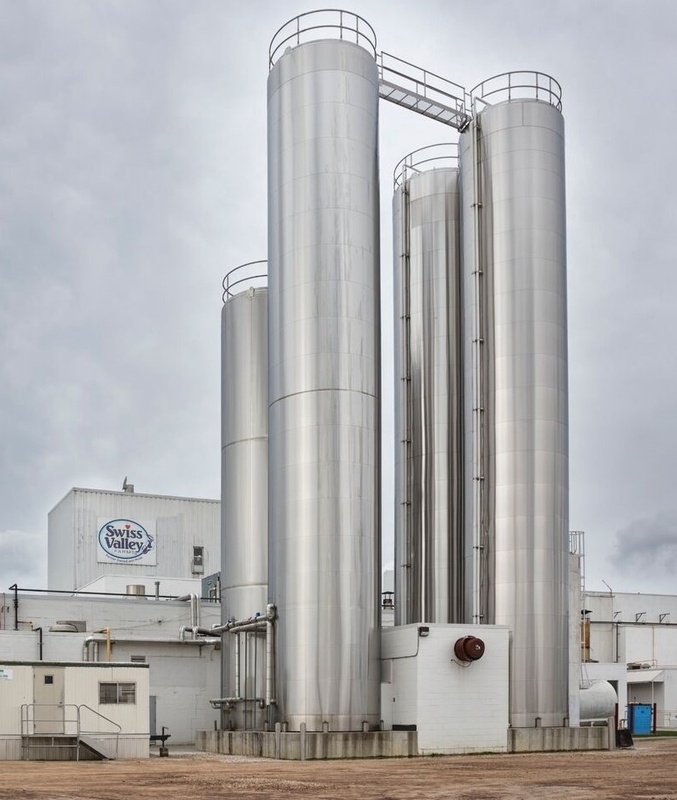 The award goes to a U.S. dairy supplier who exemplifies leadership in advancing U.S. dairy exports, demonstrates commitment to export market development and makes exports an integral part of its overall growth strategy. It is presented by Dairy Foods magazine and sponsored by the U.S. Dairy Export Council. “Swiss Valley Farms illustrates the power of careful planning and perseverance,” says Tom Suber, president of USDEC. “Its distance from most coastal shipping ports can present a challenging supply chain. Like all exporters, the company has encountered a difficult global dairy market slowdown the past two years. At the USDEC board of directors and membership meeting in October, Swiss Valley Farms received the Tom Camerlo Exporter of the Year Award from Dairy Foods magazine. 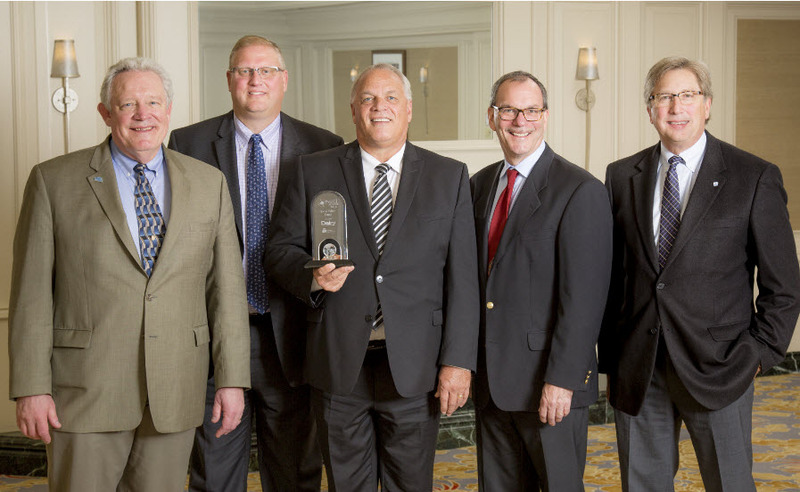 Pictured (from left) are: USDEC Chairman Paul Rovey, Swiss Valley CEO Chris Hoeger, Swiss Valley Vice President of Sales and Marketing Jay Allison, Dairy Foods magazine editor Jim Carper, and USDEC President Tom Suber. 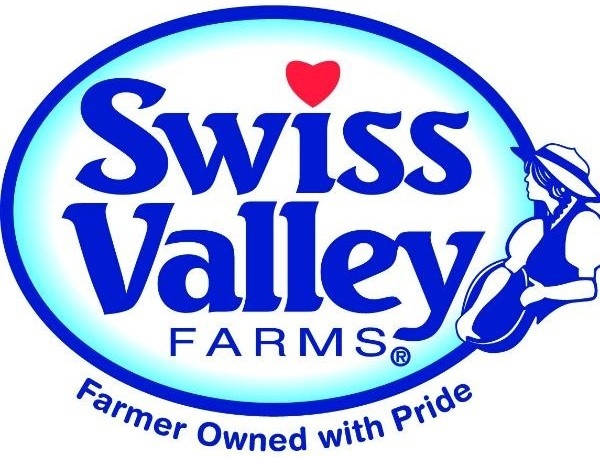 Swiss Valley Farms now sells to 23 countries, including Canada, Taiwan, China, Japan, Singapore, Malaysia, Indonesia, the Philippines, South Korea, South Africa, Colombia, Chile, Puerto Rico, Saudi Arabia, Dubai, Iraq, Morocco, Dominican Republic, Australia, Vietnam, Panama, Hong Kong and, of course, Mexico. The co-op operates five cheese plants in Iowa, Minnesota and Wisconsin. The locations create the challenge of getting product to shipping ports located more than 1,500 miles away. Swiss Valley has developed its own method. Surrounded by cornfields and soybeans, the flagship cheese plant in Luana, Iowa, is quintessentially Midwest in nature. But the peacefulness of the surrounding countryside belies the vibrant activity inside the plant. On a recent September afternoon, workers busily moved cream cheese packets from a conveyor belt into shipping boxes. Forklifts made determined progress to and from the inventory room, their characteristic beeping sounds reverberating throughout. Outside, trucks were readied to transport cream cheese and whey to Chicago, where they would be re-routed to various ports along the east coast, west coast and southern United States. On the opposite end of the plant from the loading dock, helmeted construction workers with welding equipment prepared a new 49,000-square foot space for expanded production. The $20.6 million expansion project attests to the fact Swiss Valley Farms is bullish on exports. 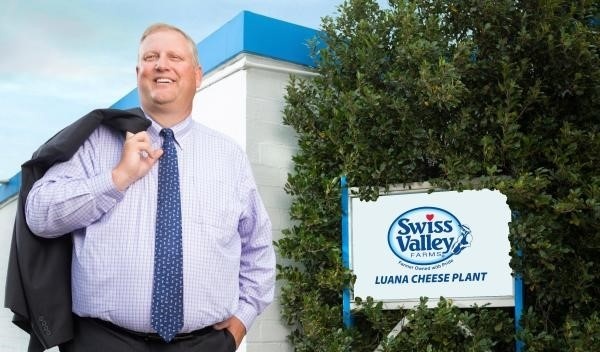 Growth in the Luana plant’s production capacity will be on the cheese side, which will “significantly add more whey available to be exported and sold domestically,” says Hoeger. A focused effort on its global business, starting in 2008. Exports have since grown to $36 million, 9 percent of total company sales. An impressive uptick in cream cheese and whey powder exports, including 58 percent growth over the past three years. A solid network of sales contacts, including customers, distributors and brokers. A majority of those contacts came through USDEC, Hoeger says. They tap into USDEC staff expertise and resources and take advantage of marketing opportunities. This year, Swiss Valley exhibited in the USDEC booth at both the Gulfood Show in Dubai and the Seoul Food Show in South Korea. A strong commitment to quality, including award-winning cheeses, whey and dairy ingredients. For example, Swiss Valley’s cream cheese recently won second place at the 2016 World Championship Cheese Contest. With annual sales of $400 million (exports plus domestic), Swiss Valley Farms isn’t as large as some previous Exporter of the Year winners, which have billions of dollars in revenue. Like any small company that competes with the big guys, the David vs. Goliath approach works as long as you have the right business strategy. For Swiss Valley Farms, it includes marketing a premium product with a high level of customer service. The company tries to allocate its employee resources wisely. Swiss Valley has a dedicated export division with sales representatives who represent the company around the world. Also, it has a customer service department that is fully trained and equipped to handle any customer issues, export paperwork and documentation. In turn, positive relationships develop with international customers. For example, one customer in Mexico, whom Swiss Valley asked not to be named, has been with them for five years. The customer credits Swiss Valley for its attention in meeting Mexico’s labeling requirements, health certificates and other documentation. In one situation, Swiss Valley Farms invested in a packaging redesign of swiss, blue cheese, gorgonzola and cream cheese products distributed through a major Mexican cheese company. The products had to comply with Mexico labeling regulations that took effect in 2011. The project required detailed translation efforts between Swiss Valley’s quality and marketing departments and customers. Swiss Valley Farms also reached out to a third-party verification unit to ensure there would be no issues at the border. Kevin Stiles, former senior vice president of business development and partnerships at the Midwest Dairy Association, is an impressed observer. The gruff Mexican cheese distributor who was rude toward them eight years ago is now an amusing anecdote and distant memory in the company’s success story.